Pain in the Arch of the Foot? Get Answers from this Tampa Podiatrist so you can have the Best Feet! Everywhere you turn someone is telling you about pain in the arches of their feet. When you tell people about your pain, you find out that so many others have the same problem. They give you some great home treatments but the pain is still there! The over the counter remedies aren’t working. So it’s time to get answers from the most qualified person on the subject, YOUR Podiatrist! Don’t settle for feet that only feel good some of the time. Get treatment and pain relief from your podiatrist so that you can have the Best Feet. Your foot arches help keep your feet stable. When they are not functioning well, you will end up with pain starting from your feet and working its way up your body. You may then develop ankle, leg, knee, hip and back pain. When your arch drops, you start to lose the proper shock absorption when your foot hits the ground. Your arch can drop whether you have flat feetor high-arched feet. The foot is a complex structure containing many bones, joints, ligaments and tendons. In addition, there is a large thick band on the bottom of your foot that plays a great role in your foot function. This band is called the plantar fascia. So, the proper diagnosis is not always what you may think. So why do you have arch pain? Well the plantar fascia band is likely strained from your arch weakening. This process usually develops over time from improper foot and arch support and then eventually becomes painful when getting out of bed in the morning or after rest. 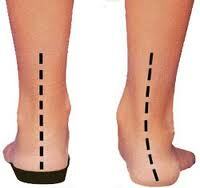 Some people develop heel pain first and this is followed by pain in the arch. In some cases other sources of pain may be a stress fracture or torn soft tissue such as a ligament, tendon or the fascia band. So what might have started your heel pain? You may have switched to an old pair of shoes that do not provide support. Or you may be wearing flip-flops since the weather is warming. Have you increased your activities lately or put on some extra pounds? That may be the start of foot and arch pain and even pain in the legs, also known as shin splints. Eventually, your knees start to feel the pain because you are not walking properly. Your foot is unstable and is not functioning to keep the rest of your body aligned well. Even your back may start to become painful and it all started from your feet. So you see, this is a complex problem. And your best hope of getting relief from foot, arch, heel and other related body pain is to see your podiatrist. Pain in your foot is not normal. You must have a full exam, x-ray and/or ultrasound and a comprehensive treatment plan to stop the pain and keep it away. The real key is a treatment that is long lasting and personalized for you. As your podiatrist, I will do just that. In many cases following your exam, I will make you a pair of custom orthotic devices based on my exam findings. An orthotic is essentially a customized arch support with modifications that are made just for your foot. You are cheating yourself, your body and your feet without the proper treatment. After all, your feet must last a lifetime. 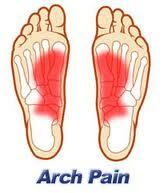 If you suffer from arch, heel or other foot and ankle pain, call Advanced Podiatry, your Tampa Foot Doctors. Finally get relief from a professional. You can often get same day appointments. Insoles, Inserts, Orthotics – What’s the Difference? Why Do I Have Ball of Foot Pain? Follow the Yellow Brick Road with Flip-Flops? Dr. Oz says NO!